Penny shook her head warningly at the boy’s tense question. The child who lay on the ground between them, not far from the burning train, was an orphan now. If her terrible injuries were to be tended, it would be up to strangers — people like Penny — to do what must be done. First of all there was the complex and dramatic treatment of little Linda’s burns. When handsome Doug Redigo appeared, with evidence to prove he was Linda’s uncle, Penny was delighted to share responsibility for her young patient. But later, when the long shadow of doubt began to fall, she found herself committed to far more than a nursing assignment. She had embarked on an adventure that would take her across the continent, endanger her life again and again, and end, incredibly, in the darkness of an underground cavern. 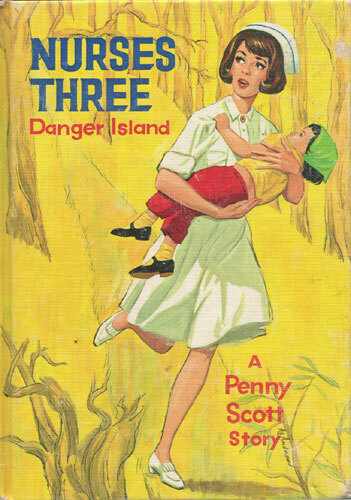 Later Penny would recall that moment beside the burning train when she had looked down at the screaming child, and she would realize that it had been a milestone in her life and in her nursing career. More completely and more satisfyingly than ever before, she had allowed herself to become involved in the fate of another human being. She had learned to care.